At Asfar Yachts we are the proud owners of the highest quality yachts available in the UAE. It isn’t just the fleet that is impeccable, but also the crew. The Asfar Yachts’ crew are the best in the yacht industry can offer. At Asfar Yachts we are the proud owners of the highest quality yachts available in the UAE. It isn’t just the fleet that is impeccable, but also the crew. The Asfar Yachts’ crew are the best in the yacht industry can offer. Our captains are guaranteed to keep you safe and secure on your journey, as they share over the years of yachting experience all over the globe. This experience and knowledge accumulates to ensure the smoothest ride that can be offered on board and will give you the confidence that you’re in good hands. We are proud to ourselves on delivering the most exclusive chartering experience, setting the industry benchmarks & standards makes us pioneers in yachts chartering. Asfar Yachts is Now the Only online & Dynamic Yacht Charter Company in The United Arab Emirates & Gcc Using the Latest Online Technology to Ensure to Our Client the Easiest Booking steps and best chartering experience ever, through GCC 1st Online Portal for luxury yacht charter and the World 1st Mobile App for Yachts Charter. We hope to welcome you aboard an Asfar Yacht Charter. Award Winning Luxury Yacht Charter Company. Superb customer service & Operational 24 hours a day 7 day a week, 365 days a year. Professional and Highly Trained Captains & Crews. Ability to offer redundancy yachts in case of malfunction. 5* Rated yacht charter company in UAE. Owned luxury car transfer (Bentley). Ethically run, Multi nationality managed company. Operate from a real physical location. Deal directly with yacht owner & not agents/re-sellers. Our vessels have been registered according to the UAE regulations and checked by the Municipality department. Our Captains & crew have extensive knowledge of the local cruising area, allowing you to capture all the best sightseeing’s along Dubai’s famous coastline. Your Captain will have at least one or two deck hand to assist him in his duties and to make sure our guests receive the best hospitality in Dubai. Depending on the number of people onboard, for either a private or corporate Charter, Asfar Yachts will arrange for additional crew members to meet your special requirements. This could include stewards, waiters, hostesses and of course a qualified Chef. We put safety above all else; Safety on board Asfar Yachts is taken very seriously by the company. It is vital for our clients to feel comfortable and secure whilst traveling with us that is why an experienced and fully qualified team mans each of our vessel. To help them do their jobs better, we have the latest GPS navigation and tracking equipment on board our vessel as well as DSC VHF radios. All our captains & crew are highly trained and hold all the required internationally recognized qualifications. Although the Gulf waters tend to be mild and calm, our vessels are compliant with local marine governing bodies & are equipped for most eventualities. We have highly experienced and friendly office staff, captains & crew who are more than happy to take care of all the requirements of any celebrations, we love to know that you had a great time with us, and will keep coming back for your other celebrations. We at Asfar Yacht give you some of the finest and best services when you are talking about discovering the deepest secrets of ocean. Deep sea fishing, cruising and a relaxing time on board are some of the activities you definitely don’t want to miss while being in one of the most famous and glamorous cities of the world. 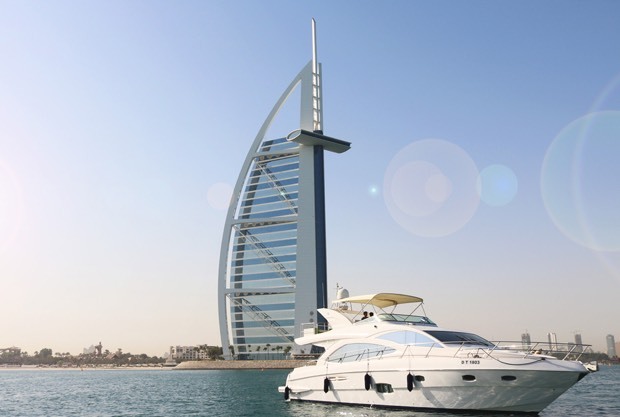 Asfar Yachts operate from Dubai Marina. The Dubai Marina Yacht Club (DMYC) is one of the largest private yacht clubs in the world, with a stunning purpose-built clubhouse and four marinas spread over a manmade 3.5-kilometre canal. With multiple offices located in the international city & Garhoud, with our great relationship with The DMYC enables us to deliver a second to none service experience. We are able to assist you every step of the way, from viewings to bookings & your arrival to departures you will experience the Special treatment. No other charter company can match our standards of service. 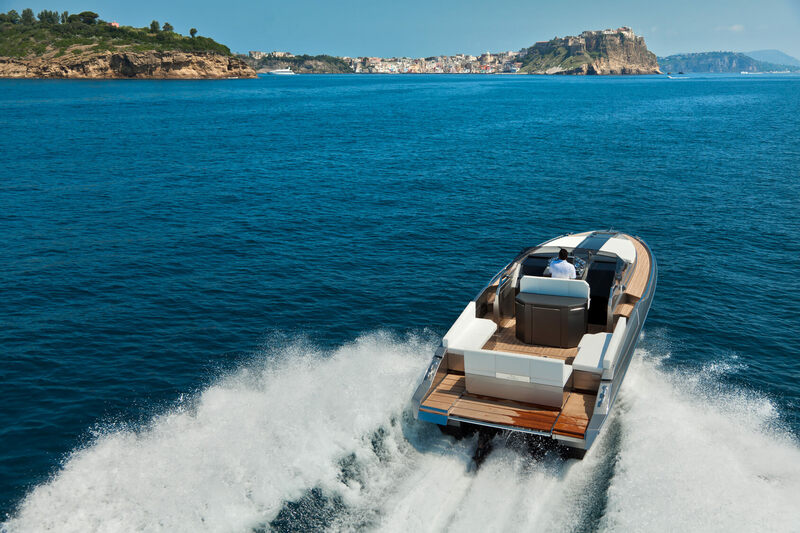 Our yachts are powered by the latest generation engines and manufactured to exact specifications. Vibrant, fresh and ultra-lightweight life jackets are provided for everybody on board! Customer satisfaction is the source of authenticity that each business strives to maintain. What makes a customer eager to do a review with strict criteria to be published is surely the fascinating and distinctive service that he/she has gained. 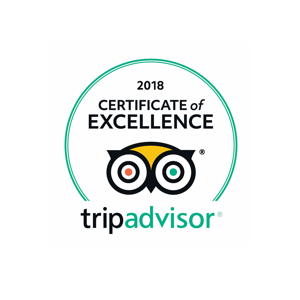 To explain, Asfar Yachts has been awarded the 2018 Certificate of Excellence by tripadvisor, the world’s largest travel site, for the consistently great reviews that Asfar Yacht has earned. Being always in comparison with competitors is a heavy burden that most businesses try to avoid; however, with Asfar Yachts, the burden turns to be incentive, the incentive to be the best. 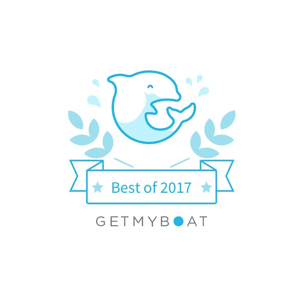 Asfar Yachts has been unanimously agreed upon by GetMyBoat, the world’s largest boat rental & water experience marketplace, as Best of 2017 in the Middle East and North Africa region. When it comes to luxury, the excellence is always the title of Asfar Yachts. Asfar Yachts has been recognized and celebrated for its superiority and honored as Global Award Winner 2016 by Luxury Travel Guide, the far-famed international awards program, with its criteria being focused on innovation and service excellence.